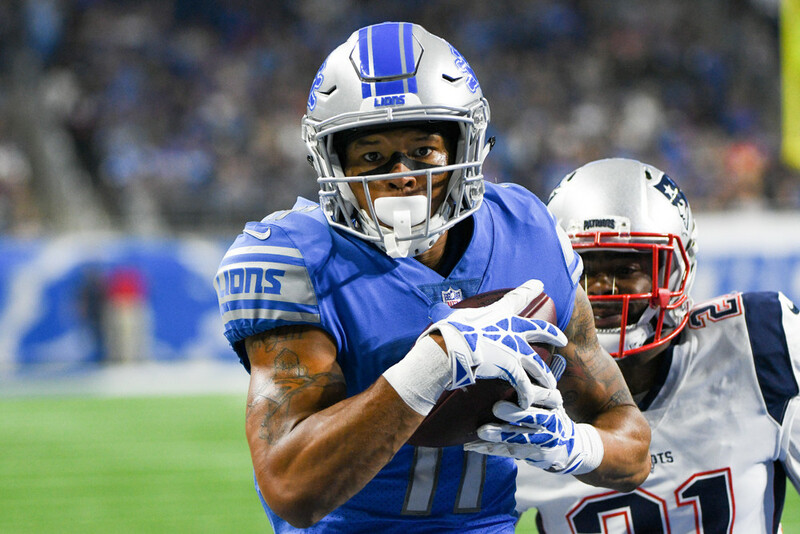 The Lions swept the Vikings last year on two wins that came on the game’s final play, and now the teams lock horns in a key NFC North battle for first place. It could be an aerial assault as Minnesota has allowed the most points to opposing WRs while sporting two top three fantasy WRs of their own. But could a surprise name headline the action? Both teams have allowed a lot of passing yards, among the top ten, but each has been stingy allowing passing touchdowns as well. Stafford averaged 225 yards against Minnesota last year, right in line with his season average in 2017. He’s a low-end starter. Abdullah and Riddick continue to split snaps pretty evenly, with Abdullah taking most of the carries and Riddick being used in the passing game. But Minnesota is the #1 run defense and the only one in the league yet to allow a single TD to opposing RBs, so neither is playable this week. Minnesota limited Michael Thomas, Antonio Brown, and Mike Evans to an average game of six catches for 58 yards the first three weeks, but Tate had 16 catches in two games against the Vikings last year and was over 75 yards both times. He’s too good to bench, but this won’t be one of his better weeks. Minnesota has allowed the most points to opposing WRs in 2017, and most of it has come to opposing WR2s that have burned Trae Waynes repeatedly, especially deep. Jones has played at least 20 more snaps than Golladay each game and has more targets the last two weeks. He looks like a high upside WR3 this week and should definitely be in your lineup. Golladay looks like he’s worth a spot start too. Minnesota is allowing 53 yards a game to opponents’ third WR this season, so Golladay and Jones could both see big games. We may not know until Sunday which QB will play. Detroit continues to leak a ton of passing yards, and Minnesota QBs have combined to score the third most QB fantasy points in 2017. It seems crazy, but the Vikings are hot and even better at home, so the starter may be worth playing. Minnesota started using Cook in the passing game more last week with five catches and 72 yards, and Detroit has allowed the third most receiving yards to opposing RBs. Cook finally got into the endzone against Tampa and should continue to be a high end RB2. Diggs is fantasy’s #1 WR, and had 13 catches in his one game against the Lions last year. He’s bound to slow down at some point, but it might not be this week. Thielen caught 12 balls of his own in two games against Detroit in 2016, and he’s matched Diggs step for step in targets and leads the team in receptions. He’s yet to get in the endzone but looks like a great play again. Rudolph has played over 90% of Minnesota’s snaps and has eight catches and a TD in 2017. He continues to be a low end starting option.